MoneyMorning.com Tom Gentile writes: During the past month we've welcomed in thousands of new subscribers over at Power Profit Trades. For those of you not yet receiving Power Profit Trades, or for anyone who hasn't traded yet because of concerns over opening a live account, let me take the fear out of what is an easy process. 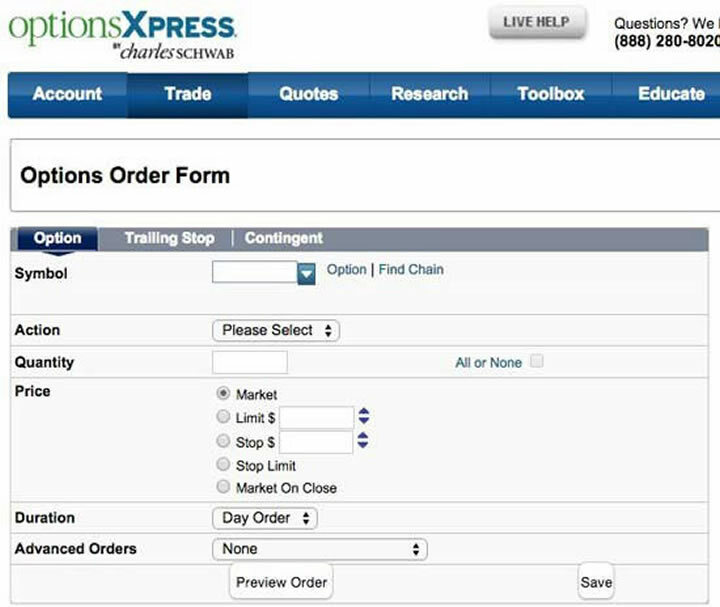 Web-based platforms such as that used by OptionsXpress, below, is great for someone getting started. It's easy to master, from simple option purchases even up to three- and four-legged spreads, and the platform is set up nicely in a step-by-step format when it comes to placing an order. The drawback on platforms such as this one, though, is that they are more of a snapshot of the market, rather than constantly streaming. Whether you decide to go easy (web-based) or go crazy (computer-based) is all up to your experience level and how smoothly you flow through computer screens. If you are a computer novice, a web-based platform should suffice. If you were the pinball wizard of your day, then perhaps an active trader platform is for you. 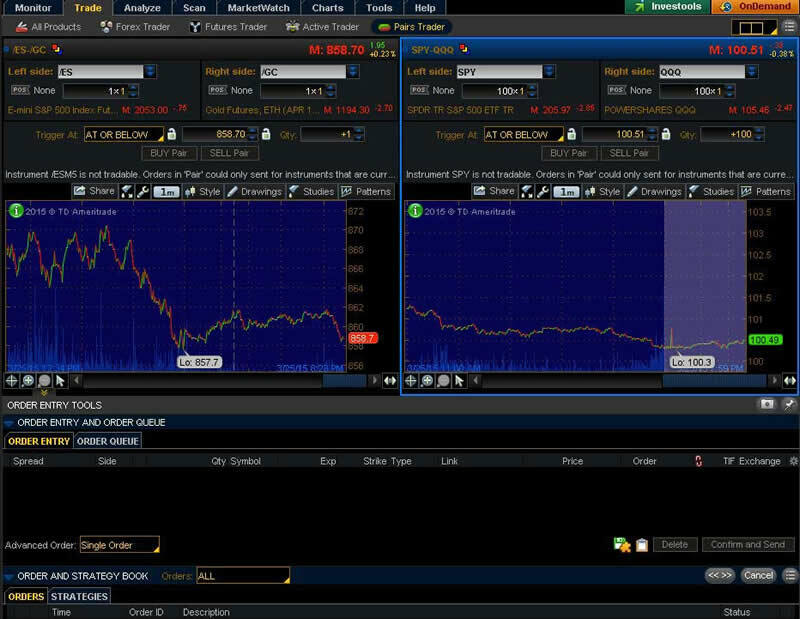 If you are not sure, you could start with a web-based platform and graduate to an active trader platform when ready. Investment Objectives – This will range from "income" on the low side to "speculation" on the risky side. I suggest that if you want to trade options as well as qualify for something other than covered call authorization, then "speculation" is what you want to apply for. Options Strategies – Basically this involves what type of strategies you are familiar with. The more that you understand, the higher trading level you will qualify for. Keep reading my material to learn about the majority of these strategies. Trading Strategies - There are several here, and the biggest takeaway at this point is that the more strategies you select, the higher your chances of getting a high trading authorization. Wouldn't you want the ability to trade these when you are ready? Trading Experience - Again, like trading strategies, the higher a number here, the better. If you don't have a lot of experience, think about the future of what you believe you will be trading, and factor that in. Personal Finances - These are straightforward and consist of your "liquid" net worth, total net worth, annual income, source of income, etc. Be honest here, as this type of information is easily attainable and the firm could come back to you with questions if things don't match up. The goal is to get that correspondence back saying you have option trading authority. Most option firms require a minimum deposit of $2,000 to 3,000, and to get started it generally takes only the time required to get your money cleared through the broker. Relish in the moment. You are about to embark on a journey that brings many people to envy those who get it right. I promise to help get you, and keep you, on that path. Good trading!